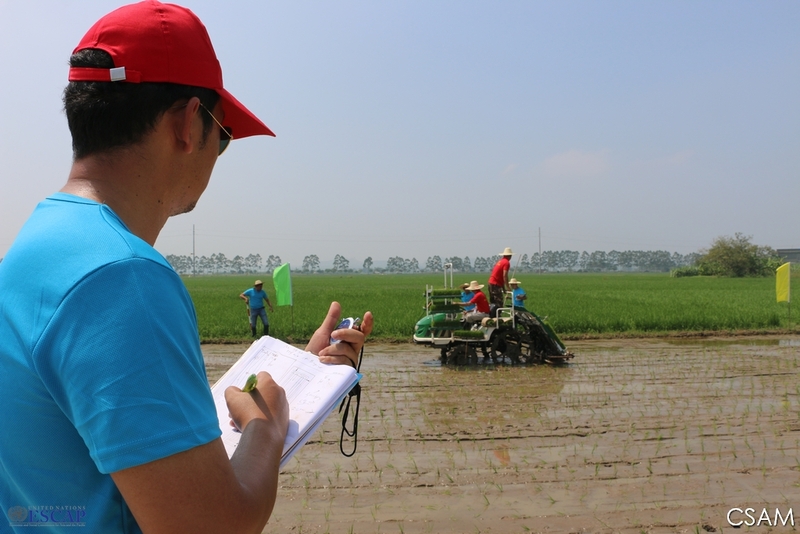 Beijing (CSAM news) – Engineers from 15 countries in the Asia-Pacific region successfully participated in the 3rd Training of Trainers on the Asian and Pacific Network for Testing of Agricultural Machinery (ANTAM) Test Codes in Nanning, China from 11 to 16 September 2017. 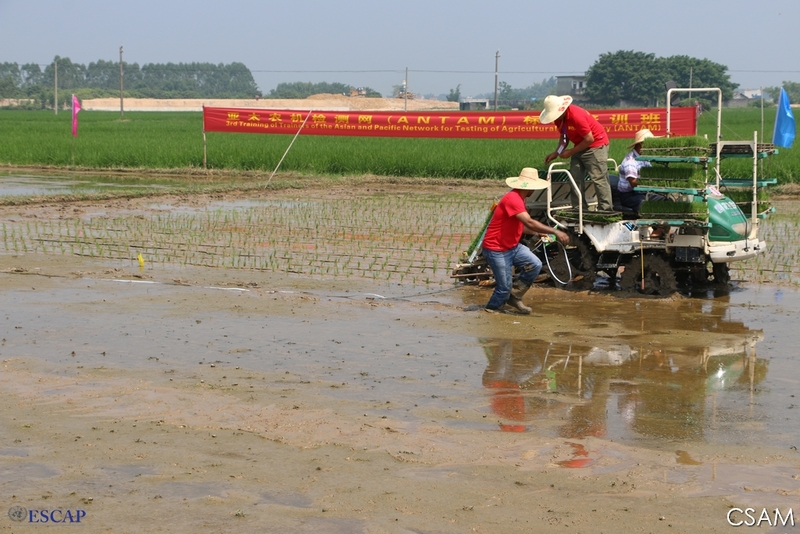 Co-organized by the Centre for Sustainable Agricultural Mechanization (CSAM) of the United Nations Economic and Social Commission for Asia and the Pacific, and the China Agricultural Machinery Testing Centre of the Ministry of Agriculture of China (CAMTC- MoA), the training curriculum was designed to provide comprehensive knowledge of testing standards and enable the participating engineers to utilize the ANTAM Test Code for Paddy Transplanters in testing stations in their home countries. In his welcome remarks, Mr Pan Xuefeng, Counsel, Department of Agricultural Mechanization of the Ministry of Agriculture of China highlighted the importance of ANTAM as a platform to foster cooperation in the field of agricultural mechanization. 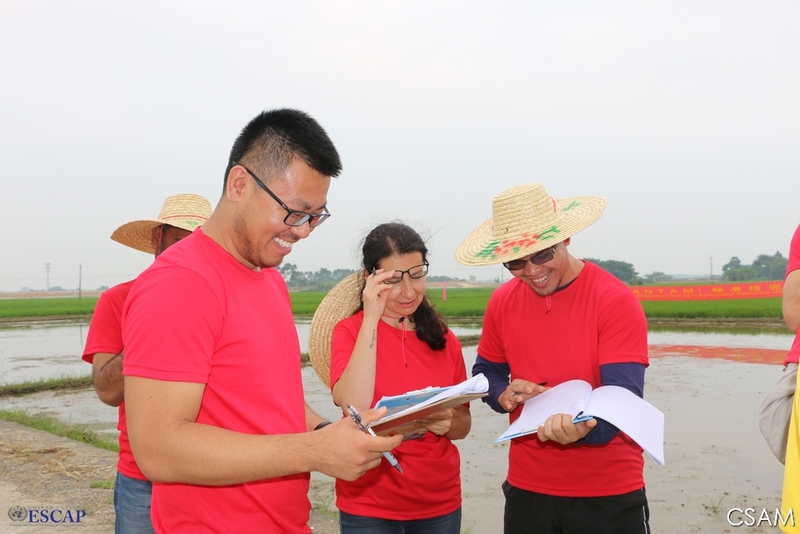 The role of ANTAM training efforts in forging a common definition of testing practices and improving the testing of Paddy Transplanters was shared by Mr. Liu Min, Director General of CAMTC-MOA, who delivered the opening remarks. 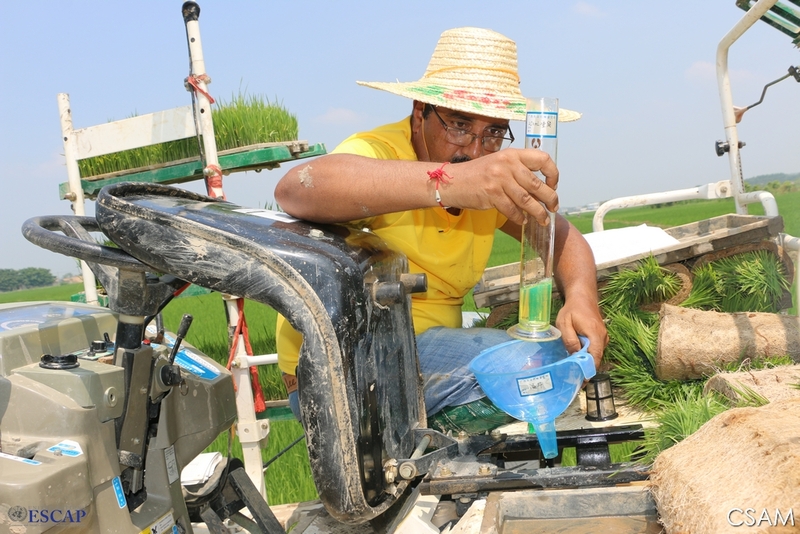 ANTAM is a regional initiative of CSAM for promoting mutually recognized testing standards to facilitate the trade and use of safe, efficient and environmentally sound agricultural machinery. The network is a key activity promoted by the Centre in support of the 2030 Agenda for Sustainable Development, particularly in relation to Sustainable Development Goals 1 (No Poverty) and 2 (Zero Hunger). 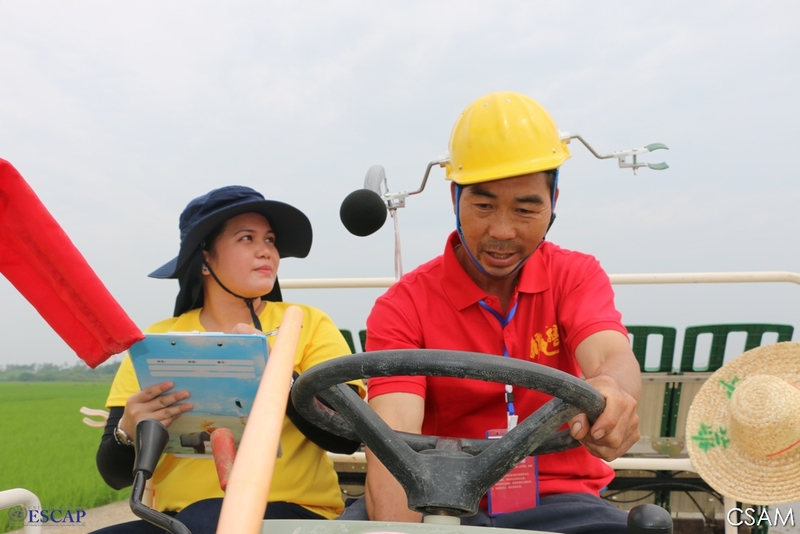 The ANTAM training engaged a total of 23 engineers from Bangladesh, Cambodia, China, India, Indonesia, Malaysia, Nepal, Pakistan, Philippines, Republic of Korea, Russia, Sri Lanka, Thailand, Turkey and Vietnam. Participants also benefited from the experience shared by three international trainers from Malaysia, China and Japan. The first two days were dedicated to theoretical lectures and study of testing procedures, including a comparative study of standard practices from selected countries vis-a-vis the specific characteristics of the ANTAM Code. Each participant was guided in the practical application of the Code via three days of laboratory and field practices. The practical sessions offered the opportunity to perform the tests recommended by the ANTAM network and each participant received instructions on data gathering methods necessary for the completion of the test report. 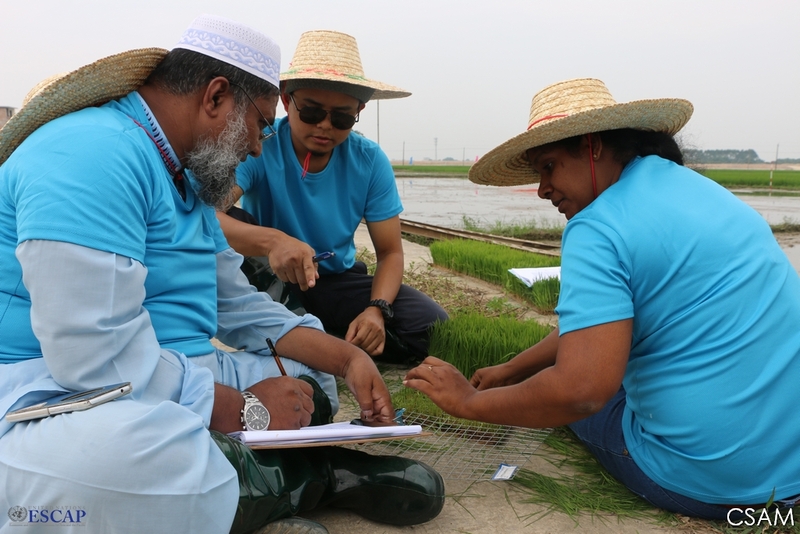 To maximize the benefits of the event and promote knowledge sharing, a training manual was designed to guide the participating engineers in the application of the ANTAM Code for Testing of Paddy Transplanters. The manual and the teaching material used during the classroom training will be made available soon on the CSAM website (www.un-csam.org). As part of the training’s programme, the participants were also invited to visit the 14th China-ASEAN EXPO which provided an important opportunity to expand and deepen exchanges and cooperation among countries.